The much anticipated tunnel under the Shipka Pass in Central Bulgaria will be completed before 2020, according to Regional Development Minister Rosen Plevneliev. The Shipka Pass is located in the central part of the east-west stretching Balkan Mountain (“Stara Planina”), near the city of Gabrovo. The future tunnel, of which Bulgarian governments have talked for ages, is a major infrastructure project that is supposed to greatly facilitate the traffic and exchange between the northern and southern halves of the country. According to Plevneliev, Bulgaria will construct the tunnel whenever it finds an investor that will be willing to build it through a public-private partnership without state guarantees. If no such investor is found by 2013, the government will seek EU funding from the 2014-2020 financial framework for the Shipka Pass tunnel, the Minister explained in Gabrovo. The tunnel is supposed to become a crucial part of the Pan-European Transport Corridor No. 9 connecting Helsinki in Finland with the Greek Mediterranean port Alexandroupolis, going through Bulgaria’s Ruse and Gabrovo. 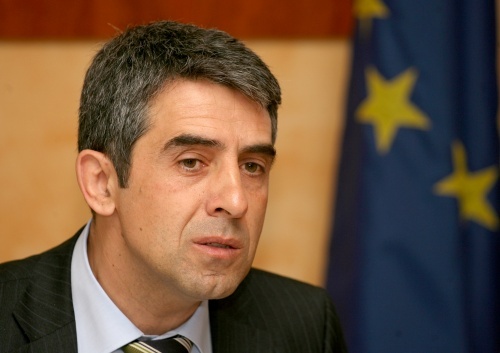 Plevneliev also pointed out that the construction of a Gabrovo beltway has been envisaged for funding in the EU Operational Program Transport for 2010-2013. The new road is supposed to unload the heavy traffic from the streets of the city against which local residents have staged numerous protests. “The responsible position of the government would require creating prerequisites for the free movement of international traffic of people and goods through Bulgaria. Our country has been in isolation because it has no highways to Greece, no highways to Serbia, and only one bridge to Romania, which was built 55 years ago,” Plevneliev declared slamming previous governments for failing to pay any attention to the construction and expansion of roads.